Billions, if not trillions of dollars are needed to repair, replace and rehabilitate the nation's aging water infrastructure. See which municipalities are already working to fix the problem. 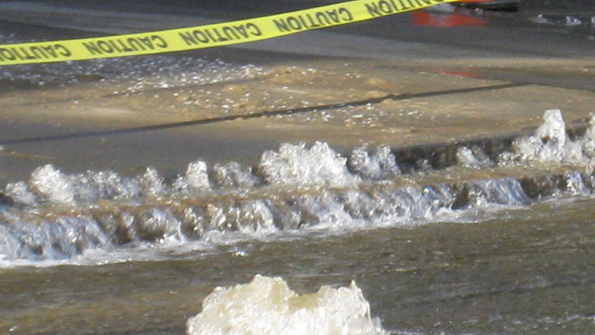 With aging pipes, frequent main breaks and tremendous costs of repairs and renovations, deteriorating water infrastructure is one of the most critical problems facing municipalities today. There are an estimated 240,000 drinking water main breaks per year in the U.S, according to the American Society of Civil Engineers (ASCE). The group gave the nation’s drinking water infrastructure a “D” grade in its 2013 report card. The ASCE also gave the country’s stormwater and wastewater infrastructure a “D” grade, and estimated $298 billion will be needed over the next 20 years to keep the system from crumbling. The American Water Works Association warns that the majority of the pipes that make up our water infrastructure are nearing the ends of their useful lives. Assuming that every pipe needs replacement, the cost in the coming decades could easily reach $1 trillion. Govalytics, is a sales and marketing tool for companies looking to contract with local governments, measures municipal spending in the nation’s top 25 MSAs. For more information on these projects, or to see how Govalytics can help your agency as a benchmarking tool, visit the website.